Manufactured and designed by Intergas, the Xtreme 36kW Combi gas boiler is a highly reliable, efficient and compact unit that boasts a variety of features and benefits. With an efficiency of 93%, the Xtreme Combi is highly efficient and comes with an ErP A rating for heating and hot water. An output of 36kW makes this boiler the perfect unit for larger homes with more than 1 bathroom that have a higher demand for heating and hot water. The Xtreme range also includes smaller outputs of 24kW and 30kW so there’s a boiler in the range to meet the demands of many homes. This unit has been designed to incorporate a back-to-back 2-in-1 aluminium heat exchanger and a fully integrated copper circuit to ensure optimum heat transfer while minimising heat loss. The Xtreme also features a built-in flue gas recovery unit at the back off the heat exchanger which extracts the excess energy from the condensate water and uses it to preheat the water for domestic hot water or heating, depending on which mode is being used. This process reduces the amount of gas needed to reach the required temperature while lowering the both carbon emissions and energy bills. The central heating water and cold tap water flow directly through the heat exchanger which means that the exhaust fumes cool to the maximum and condensation heat is used optimally. The Xtreme technology enables the highest hot water efficiencies to be achieved. 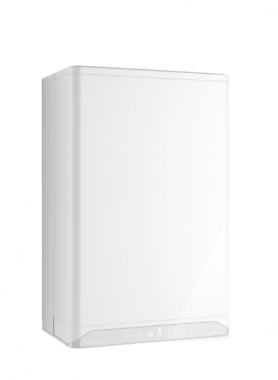 As well as all of these efficient features, it’s been designed as a wall mountable boiler that can save you that much-needed space in your home. Available with a 5 year warranty, you can be sure that this boiler won’t let you down.